WHAT’S THE BENEFIT OF A HIGH EQ RATING? Your Quincy representative will conduct a free walkthrough and complete the EQ Rating worksheet included in this brochure. This does more than just identify your existing EQ Rating, it estimates your current compressed air system operating costs and your cost reduction potential. 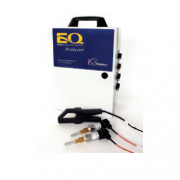 • A trained Quincy representative will come on-site and connect the EQ Analyzer. • The EQ Analyzer records the power and performance of the compressors and air pressure levels in your compressed air system during normal production. • The recorded data combined with information gathered from plant personnel and observation will then be analyzed. • Financial projections include a payback calculation on the recommended Action Plan and capital investment. 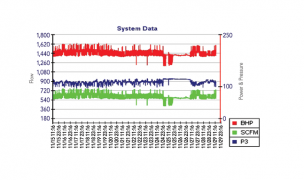 • System performance graphs and tables provide details on existing and proposed system performance. • The Action Plan details the specific recommendations and estimated costs to raise your system’s EQ.